Dr. Singer joined the Allergy & Asthma Associates practice in 2007 after serving as clinical instructor in the Division of Allergy & Immunology in the Department of Internal Medicine and in the Division of Pulmonology in the Department of Pediatrics at the University of Michigan in Ann Arbor, Michigan. Dr. Singer received his Bachelor of Science in Biology and his medical degree from Indiana University. Dr. Singer went on to complete his residency at Children’s Hospital Medical Center in Cincinnati, Ohio. 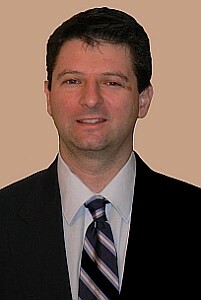 Dr. Singer then completed his fellowship in allergy and immunology at the University of Michigan. After moving to Knoxville, Dr. Singer also cofounded Volunteers Educating for Food Allergies (VEFA), which is a Knoxville based food allergy advocacy group. Dr. Singer fits our OIT allergist “profile” perfectly. He understand all sorts of habits of little ones and has his own child with a peanut allergy. There is no doubt you will love spending time with him during the desensitization process. After several calls with his front desk, I can also confirm these are competent and friendly people in his office. I am so happy to add Dr. Singer to our list of OIT providers!! !